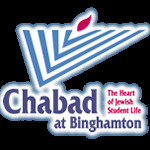 Chabad House is alive with activity and excitement offering a smorgasbord of innovative programming every day, every week, every semester. We’re always mixing it up to keep things exciting but check out all the “regular” stuff and be amazed. Chabad offers services daily, on Shabbat, and on Holidays. Whether you pray every day or don’t read Hebrew yet, you will feel comfortable at our user friendly services. There is always something happening at Chabad so stay tuned and get the details. >> more info Living on the West Side of Binghamton? Check out our satellite Chabad House for Shabbat dinners and so much more. been introducing cutting edge programming for over two decades. Check out our most famous and widely duplicated events! Think you’ll have to compromise on holidays because your not home? Never! At Chabad every holiday is a huge celebration you will long remember!